If Cerritos, Buena Park, and Long Beach roads are a regular part of your daily commutes, you likely appreciate a sophisticated compact car that supplies you with an accommodating driving experience. That’s where the 2019 Honda Civic comes in. 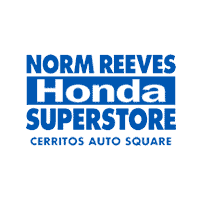 Norm Reeves Honda Superstore Cerritos has put together this brief Honda Civic review so you can see for yourself if it offers the kind of ride for which you’ve been waiting. The Honda Civic provides you with a robust performance you can count on again and again. There are two possible engines that deliver this performance. The one that comes standard is a 2.0-liter 4-cylinder engine that generates 158 horsepower as well as up to 138 lb-ft of torque. The Civic is also available with a 1.5-liter 4-cylinder engine that produces 174 horsepower along with 162 lb-ft of torque. 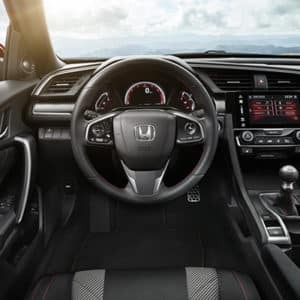 The Civic starts out with a 6-speed manual transmission, but drivers have the option of selecting the Continuously Variable Transmission to improve efficiency. Whether you go with the sedan or the coupe, you and your fellow occupants will get plenty of comfortable space inside the cabin. The Honda Civic sedan makes use of 88.6 cubic feet of passenger volume and offers spacious seating for both rows. The first row has 36.5 inches of headroom and 42.3 inches of legroom. The back row has 34.5 inches of headroom and 35.9 inches of legroom. The Honda Civic coupe is just as accommodating with a passenger volume measurement that comes to 91 cubic feet. It also has 38.2 inches of headroom and 42.3 inches of legroom in the front, and 34.6 inches of headroom and 35.9 inches of legroom in the back. Both models are also pretty close when it comes to stowing potential. The sedan has 11.9 cubic feet of cargo volume, and the coupe has 12.1 cubic feet. There’s plenty of features and amenities within the cabin of the 2019 Civic to keep you entertained during your commutes and adventures. The cabin includes the 5-inch LCD dashboard screen which acts as your command center for your entertainment and connectivity features. Using this screen, you can select your preferred media to play through the 4-speaker sound system. The Civic includes an AM/FM radio, USB and auxiliary inputs for portable media devices, and Bluetooth® for HandsFreeLink® phone connectivity as well as audio streaming. The higher Honda Civic trims include some updated amenities and options to add even more entertainment to your experiences on the road. Some of these features include Apple CarPlay™ and Android Auto™ integration, which allows you to sync your smartphone to the available 7-inch high-resolution screen, which lets you access your apps, contacts, and features right from the screen. The HondaLink® simply makes your vehicle accessible from your phone through an app that lets you start, lock/unlock, or even locate your vehicle. Road Departure Mitigation System. If it senses that you have left your lane unintentionally, this system will use steering and braking to prevent you from leaving the roadway and get you back to your previous spot. Adaptive Cruise Control. When traveling on the highway, this one keeps a set following distance between you and the vehicle ahead. Lane Keeping Assist System. The LKAS uses subtle steering adjustments to prevent you from inadvertently leaving your lane. Forward Collision Warning. This feature detects a possible collision and sends a warning to the driver so they can take preventative measures and prepare to brake the vehicle. Collision Mitigation Braking System™. If a frontal collision is likely, this system will apply the brakes in an effort to avoid it or to lessen the extent of the impact. Automatic High–Beam Headlights. Using the front sensors, this feature can detect the lack of natural light and activate the high beams. When an approaching vehicle is detected, these lights will automatically shut off and resume once the vehicle has passed. The Honda Civic comes in a variety of trim levels, all of which add something unique to the sedan. The base level includes all of the features that were mentioned above, however, the other trims will add components like a turbocharged engine, higher-end seating materials, updated amenities, and more comfort and style-based features. Honda Civic Sport. This trim adds the 60/40 split rear seat to make more cargo room, as well as the 7-inch touchscreen with the connectivity features. It also adds fog lights and the Smart Entry with Walk Away Auto Lock®. Honda Civic EX. The EX trim adds the 174-horsepower, 162 lb-ft of torque-capable 1.5-liter 4-cylinder turbocharged engine. The interior includes the 8-way power adjustable driver’s seat with front heating and the One-Touch Power Moonroof with Tilt Feature. Honda Civic EX-L. This Civic trim level includes the turbocharged engine, the 7-inch screen, and leather-trimmed seats on top of all the updated amenities. Honda Civic Touring. The final Honda Civic trim is the Touring. This trim adds the Honda Satellite-Linked Navigation System™ with Voice Recognition and Honda HD Digital Traffic, as well as a 10-speaker Premium audio system to the cabin. 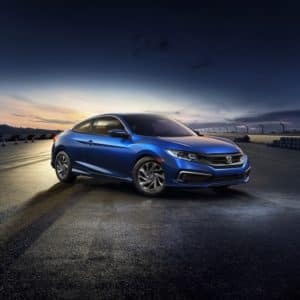 If these features have piqued your interest and you would like to find out what else the 2019 Honda Civic has up its sleeve for your Cerritos, Buena Park, and Long Beach drives, call, email, or visit us here at Norm Reeves Honda Superstore Cerritos for a test drive. We can’t wait to help you find the Civic trim that’s right for you and your adventures on the road ahead! Schedule your test drive with us at Norm Reeves Honda Superstore Cerritos!